These proposed change(s) are a very troubling quickening of the destruction of Congress’ intent as encompassed in the Highway Safety Act of 1966, when Congress created, and then charged the FHWA with “Roadway Safety” oversight on the nation’s highway infrastructure and traffic control thereon. When The Highway Safety Act of 1966 became the Law of the Land in the field of Roadway Safety it set in motion a funded mandate of one nation, appearance, expectation and based in fact standard to be uniformly applied advancing roadway safety, regardless of the type or class or the public agency having jurisdiction on roadways or bikeways open to public travel. All legislative acts in this field are subordinate and shall meet the intent, criterion and protocols of Congress’ intent and the Constitution, including the exercise of police powers regarding these federal traffic control regulations and standards on roadways, motorists and commerce thereon. Because without fact based laws neither safety or substantial and procedural due process can be achieved. Thus the real question here becomes a simple proposition. Does the current MUTCD and FHWA oversight meet the above requirements and do the proposed changes advance Congress’ roadway safety and uniformity intent? The answer is a resounding no! Regardless if the FHWA publishes a regulation, practice, guidance, or interpretation statement in the Federal Register, or not, under the rule of law its stewardship mandate cannot be abrogated, nor can it shun Congress’ intent. Simply stated, despite the apparent belief of some within the FHWA, it cannot facilitate conflicting state law or practices, non-conforming local customs, political whim, conjecture, ad hoc laws governing traffic, permit anarchy in uniformity of either application or expectation, the related safety and due process implications, or abrogate its standards oversight obligation, either. Nor can a “shall” condition of a federal regulation or Congress’ intent be asserted to be a mere suggestion or guideline, or allow it to be ignored altogether or any non-conforming state law or practice be grandfathered in, or be superior. Nor can a prior best practice be removed absent a finding of fact or be ignored when it makes our roadways less safe, or by its omission or the lack of clarification thereof facilitate the denial of due process. The Supremacy Clause invalidates state laws and federal agency administrative rules that interfere with, or are contrary to, the intent of Congress or the Constitution, and the FHWA is not empowered to abrogate or subvert these mandates or inalienable rights, only uphold and enforce them. The Question regarding any existing or proposed change: Were the proposed change fully vetted before adoption or was it the personal opinion of one or a few? Is it based in fact, has it been vetted as to efficacy, and does the change advance uniformity in appearance, application and expectation regardless of entity type or state lines? Was the proposed change based on empirical findings applying only nationally recognized best practices, or does it in fact allow traffic control, signal timing, curve warnings etc be based on unilateral political whim? “The Statutory Speed Limit definition eliminates and nullifies required conditions precedent found in the new section 2b.11. Those few that are aware will simply make all limits statutory, already common practice, and engineering studies will no longer be required for any roadway – to the documented detriment of safety. Most traffic control in the nation is already based on political conjecture, this new for 2000 definition compounds the problem for those of us who are trying to empower engineering judgment as the primary consideration. Statutory Speed Limit: is a definition in the 2000 MUTCD that has no basis–in–fact determination, conditions precedent, guidelines, standards, or uniformity of application to be met or specified in a NATIONAL STANDARD – an incongruity, safety hazard and violation of due process. It authorizes “by reference” the use of federally regulated safety devices requiring basis–in–fact findings under CFR guidelines without any such finding whatsoever. It authorizes the posting of an invented numeric at the whim of the local political authority in a manner on the whole that has been documented to be detrimental to safety. Traffic Engineers and state agencies have been fighting for years to rein in totally unjustified and unfounded legislative and local police power assaults on MUTCD standards. In some cases state legislators have ordered speed limits posted 10 to 20 under the zero percentile speeds – this inclusion by reference virtually removes any such future political impediments. Prior to 2003 best engineering practices required periodic safety reviews on all roadways regardless if they were posted with a speed limit or not, and in the 1988 MUTCD, if you found that a speed limit was warranted, the safety value shall be based on an Engineering and Traffic Survey (ETS) (safety study). In the Millennium Edition the definition of an ETS became a formal definition of Engineering Study, which now required a periodic comprehensive supporting study for the safety value to be posted. But by including the term “statutory” in the definitions the FHWA inferred an acceptance when there was no place in the manual where it was accepted practice or had any safety foundation whatsoever. Then in the 2003 edition of the MUTCD they made it more acceptable, though still an illegal act by the FHWA. Nor is there a need per se for arbitrary statutory political limits, either. If we want to have standards for neighborhoods and business districts then we should promulgate reasoned standards based on findings of fact, and proper vetting, which can be applied uniformly in practice within the US and its territories. But as proposed this clearly isn’t the case. The inclusion of the word “non-statutory” in 2003 MUTCD 2B.13 was an innocuous event to the uninformed; but it represented a catastrophic paradigm shift in practice that eradicated established best practices, roadway safety, uniformity application and expectation and due process of law. Standard: After an engineering study has been made in accordance with established traffic engineering practices, the Speed Limit (R2-1) sign (see Figure 2B-1) shall display the limit established by law, ordinance, regulation, or as adopted by the authorized agency. The speed limits shown shall be in multiples of 10 km/h or 5 mph. At least once every 5 years, States and local agencies should reevaluate non-statutory speed limits on segments of their roadways that have undergone a significant change in roadway characteristics or surrounding land use since the last review. Because all roadways in the US currently have speed limits, and the addition of the words “non statutory” all but eliminated the federal requirement to do engineering studies, (safety audits) altogether, despite the 2b.13 Standard “shall” precondition, “after an engineering study”. In fact some states do not do required engineering studies at all anymore, thereby by design returning all traffic control decision to local political whim. It changed the standard practice that all traffic control be based on a safety review of the particular roadway where the prescribed remedies were being applied. To a standard that has no regard whatsoever for the safety needs of a particular section of roadway, or any factual foundation for the traffic control, hazards etc that may be present. This is a standard that permits the estimated 80,000 posting authorities to use traffic control devices based on whim - anarchy in uniformity of practice or expectation without due process of law. The US Supreme Court has found arbitrary, capricious and vague laws to be unconstitutional. How could a person traversing the 4 million miles of roadways and the 80,000 plus posting authorities in the US know which standard applies where? Statutory limits as currently referenced in the MUTCD not only violate Congress’ intent, they’re unconstitutional. NHTSA: “However, the intent of each patrol is to generate documented stops. Informational handouts may be distributed but should not take the place of a citation or warning. An equally important aside that must be expressed: The Highway Safety Act of 1966 placed the FHWA in charge of Roadway Safety, it’s oversight charge was not limited to just traffic control. Instead of parsing out what a traffic control device is, or not, the FHWA is in fact responsible for the entire domain of safety within the roadway right of way. What we have now is ineffectual oversight, no meaningful guidance of practices, and anarchy regarding traffic control device use that is very troubling. Another question that needs to answered by the USDOT. How is safety or due process served when a state enacts arbitrary statutory (invented values) for its speed limits to be posted on federal regulatory safety devices, when they’re well below the known 85th and 50th percentile speeds. On a local arterial in Las Vegas the statuary limit and signal timing on an arterial is set more than 20 mph below the known prevailing speed despite the number on the sign. Likewise for California’s urban interstates where the prevailing average freeflowing speeds, 24 hours a day in the number 1 and 2 lanes are at least 15 mph over the limit, and zero compliance in those lanes. Acts that becomes more egregious when you extrapolate out the options in the vendor’s contract and add the fact that NHTSA (USDOT) has a written recommended policy, and actively advocates the removal of due process to streamline fine collection for its constituents. UVC NOTE: Regardless of points on a driver’s record, the IIHS et al and its sponsors the insurance companies support automated-enforcement because they use public records and their proprietary and secret underwriting practices to add premium surcharges to the vehicle owner, without review or due process or an explanation why their premiums went up. A major new stealth profit center. NHTSA and the IIHS were on the panel that added this to the UVC. Thereby automated enforcement is becoming the new hope everywhere to raise money at state and local levels. Washington DC now writes more than 2 tickets a year per licensed driver capita, or more 700,000 a year in a city of 500,000 to raise money. They also have highest insurance claim rates per capita in the nation even after a decade of cameras. With a naked stated goal of using automated enforcement of arbitrary statutory limits to help balance its budget? Arizona in its new plan hopes to issue a billion dollars in fine assessments a year based on its under posted limits and arbitrary enforcement thresholds, not counting fees or the insurance surcharges etc that would result, on what our profession has otherwise found to be low risk safe for conditions driving? More income shortfalls, lower the thresholds! None of this is engineering or safety! How can the FHWA allow federal safety devices to be used arbitrarily when the application creates anarchy in application and expectation, generally increases accident rates, pollution, our carbon footprint and reduces the capacity of a roadway; to facilitate the denial of due process, for profit? What happened to the engineering tenet that roadways with posted limits are not necessarily safer than those without limits, and the roadway design and environment determines its safety and the speed choice of drivers, not a number on a sign? In particular, since the Millennium Edition of the MUTCD and the changes in 23 CFR Parts 634 and 655 et al federal traffic control rules have become a labyrinth of known unsafe practice, anarchy in practice and expectation with no oversight. What uniformity? The FHWA publishes a paper highlighting hundreds of divergent non-conforming sign practices asking what do you think about these? Thirty years after we became one nation and with one appearance. Even when multiple states adopt like sounding programs, when they apply and the expectations are different in every case. To this you add the de jure ad hoc traffic laws that are adopted because it was a good idea, when an act affects traffic it can have severe unintended consequences, or put motorists unnecessarily at risk during a traffic stop if its an unfounded or ineffective belief. This FHWA loss of mission applies to the NCUTCD, too, because they have been basing its recommendations on the opinions of a committee, not empirical findings. Whereas, at several recent NCUTCD meetings not a single sub committee member had constructive knowledge of what they voted on and passed; all without input from the experts in those specialty fields. That’s conjecture being recommended as a change in the MUTCD, not a finding of engineering fact. Likewise, for those standards and practice guidelines that are adopted by reference in the MUTCD, ITE et al. What is best practice and does the intent of Congress and the Constitution require? If you have a hypothesis, test it, try it at other locations to verify it, and then talk about its adoption and the potential consequences, before it’s implemented on 4 million miles of roadway in 80,000 jurisdictions. The FHWA’s lack of oversight and leadership has turned this critical process into a form without function or meaningful guidance exercise that is directly responsible now for thousands of deaths a year, hundreds of thousands of injuries, and mayhem to the lives of millions, to the clear detriment of the general welfare of We the People. We can have it all, all we have to do is follow Congress’ intent in the Highway Safety Act of 1966: one nation, appearance, expectation and standard based in fact, uniformly applied to advance roadway safety, regardless of the type or class or the public agency having jurisdiction on roadways or bikeways open to public travel. With deference that policies and practices of the USDOT cannot be founded in unconstitutional acts. 1)	The bolded section of US § 655.603(b) Standards below is illegal on its face. To be legal it must conform to Congress’ intent and the US Constitution, not a belief or assertion by the FHWA, nor can an alleged no safety concern by a state justify non conformity in application, expectation or the elimination of due process of law. (b) State or other Federal MUTCD. (1) Where State or other Federal agency MUTCDs or supplements are required, they shall be in substantial conformance with the National MUTCD. Substantial conformance means that the State MUTCD or supplement shall conform as a minimum to the standard statements included in the National MUTCD. The FHWA Division Administrators and Associate Administrator for the Federal Lands Highway Program may grant exceptions in cases where a State MUTCD or supplement cannot conform to standard statements in the National MUTCD because of the requirements of a specific State law that was in effect prior to the effective date of this final rule, provided that the Division Administrator or Associate Administrator determines based on information available and documentation received from the State that the non-conformance does not create a safety concern. The guidance statements contained in the National MUTCD shall also be in the State Manual or supplement unless the reason for not including it is satisfactorily explained based on engineering judgment, specific conflicting State law, or a documented engineering study. The FHWA Division Administrators shall approve the State MUTCDs and supplements that are in substantial conformance with the National MUTCD. The FHWA Associate Administrator of the Federal Lands Highway Program shall approve other Federal land management agencies MUTCDs and supplements that are in substantial conformance with the National MUTCD. The FHWA Division Administrators and the FHWA Associate Administrators for the Federal Lands Highway Program have the flexibility to determine on a case-by-case basis the degree of variation allowed. The pre-emption doctrine, which has its roots in the Supremacy Clause, U.S. Const., Art. VI, cl. 2, requires us to examine congressional intent. Pre-emption may be either [458 U.S. 141, 153] express or implied, and "is compelled whether Congress' command is explicitly stated in the statute's language or implicitly contained in its structure and purpose." Jones v. Rath Packing Co., 430 U.S. 519, 525 (1977). Absent explicit pre-emptive language, Congress' intent to supersede state law altogether may be inferred because "[t]he scheme of federal regulation may be so pervasive as to make reasonable the inference that Congress left no room for the States to supplement it," because "the Act of Congress may touch a field in which the federal interest is so dominant that the federal system will be assumed to preclude enforcement of state laws on the same subject," or because "the object sought to be obtained by the federal law and the character of obligations imposed by it may reveal the same purpose." Rice v. Santa Fe Elevator Corp., 331 U.S. 218, 230 (1947). Even where Congress has not completely displaced state regulation in a specific area, state law is nullified to the extent that it actually conflicts with federal law. Such a conflict arises when "compliance with both federal and state regulations is a physical impossibility," Florida Lime & Avocado Growers, Inc. v. Paul, 373 U.S. 132, 142 -143 (1963), or when state law "stands as an obstacle to the accomplishment and execution of the full purposes and objectives of Congress," Hines v. Davidowitz, 312 U.S. 52, 67 (1941). 3)	Any authority or reference that purports to allow non-fact based “statutory” or absolute speed limits. By definition do not advance uniformity et al and they’re unconstitutional, arbitrary and capricious, violate due process, are void for vagueness and cannot be permitted by the FHWA or any subordinate entity. Despite current practice the uniformity wording of the MUTCD support these precepts for safety, too, as clearly stated in the 1988 MUTCD requirements. This Manual sets forth the basic principles that govern the design and usage of traffic control devices. These principles appear throughout the text in discussions of the devices to which they apply, and it is important that they be given primary consideration in the selection and application of each device. Acts of Congress trump federal agency administrative rules, practices or acts; and the US Supreme Court has found that all acts within an agency’s domain shall be consistent with the intent of Congress and the Constitution and be based in fact (5 U.S.C. § 706). MASSACHUSETTS v. EPA (No. 05-1120) (2007), et al. 4)	Restore Section 4b-20 of the 1988 MUTCD, because absent this section the MUTCD the FHWA has denied an individual’s due process, particularly when confronted with automated enforcement where signal timing has been left to whim of the local jurisdictions, and it absence makes intersections with traffic signals manifestly unsafe because there are no standards to be met or periodic safety reviews for efficacy. 4b-20 simply said that signal timing shall relate to traffic flow and be based in fact. This was in place for many years and is a fully vetted and proven best practice. Traffic control signals shall be operated in a manner consistent with traffic requirements. Data from engineering studies shall be used to determine the proper phasing and timing for a signal. Since traffic flows and patterns change, it is necessary that the engineering data be updated and re-evaluated regularly. To assure that the approved operating pattern including timing is displayed to the driver, regular checks including the use of accurate timing devices should be made. 5)	Any authorization in the MUTCD that purports to allow the design or function of a traffic control device to be based on an invented value is void. As expressed in the following: “based on an engineering study or the posted limit”, particularly if the posted limit was established without an engineering study to support it. Moreover, traffic control device use must meet the needs of traffic, therefore prevailing speed shall be the 24-hour freeflowing 85th percentile speed raised to the next 5 mph increment regardless of what the ultimate value is posted on a speed limit sign. 6)	Qualify and quantifying the definition of engineering judgment. Engineering judgment is not personal opinion; it’s the application of nationally vetted and recognized practices for the condition present where the device’s use is indicated. Engineering judgment cannot be asserted when applied to an unknown; absent volumes, patterns, speeds, and accident records etc. How can engineering judgment be asserted when traffic control is based on political whim or on roadways without engineering studies etc? An opinion absent a factual foundation is conjecture, not an engineering judgment. 28. In December 2005, the FHWA published a report on the findings of a synthesis of non-MUTCD traffic signing. Reigning in the use on non-conforming devices is long overdue. A non-conforming devices or regulation is not only look and shape, it is expectation; is the regulation based in fact, is the application and expectation uniform in all jurisdictions or does any component of it violate due process. Traffic control that can effect traffic behavior can also have unexpected severe consequences or none at all except putting a motorists at risk for an unwarranted traffic stop. If we don’t put public employees at risk on the shoulder of the road without protection, why is it OK to place your family o r friends at risk only for the monetary gain of the states. Ad hoc regulations and signs must also go through a vetting process that apply to all such devices placed on a roadway open to public travel. If approved, they shall also be uniform in form, application and expectation implemented nationwide where applicable. As for jughandle signs that have descriptive graphics that clearly show the curve or diverging roadways or legends like Canada uses. Great idea and they’re much easier to discern these symbols in advance. 30. The FHWA proposes to delete the recommendation that signs should only be used where justified by engineering studies or judgment from several places in Part 2. Not legal, we realize the FHWA wants to eliminate engineering as the foundation of the traffic control device choice in the MUTCD, which is reflected by the fact that most signs now have been placed absent any judgment. If there are no studies, judgment assertions have no foundation. Nonetheless, leaving this to the whim of local authorities is fraught with harm including the unfettered use of every describable device imaginable in violation of the tenet that too many signs placed when not needed, distract from the effectiveness of those that are. No oversight equals no control, and the FHWA record of stewardship is wanting; self evident per the per comment 28 section’s referenced 149 pages of non-conforming devices, 30 years after the FHWA was charged with uniformity oversight. 59. In Section 2B.13 Speed Limit Sign, the FHWA proposes to add to the STANDARD statement that speed zones (other than statutory speed limits) shall only be established on the basis of an engineering study that includes an analysis of the current speed distribution of free-flowing vehicles. The FHWA proposes this change to clarify that consideration is to be given to the free-flow speed when determining altered speed zones, and to clarify that statutorily established speed limits, such as those typically established by State laws setting statewide maximum limits for various classes of roads, do not require an engineering study. The FHWA also proposes adding a new SUPPORT statement to provide additional information about the difference between a statutory speed limit and an altered speed zone. In addition, the FHWA proposes relocating and incorporating the material from existing Section 2B.18 Location of Speed Limit Signs, to this section. The FHWA proposes this change in order to place material regarding the Speed Limit sign in one section for better clarity and flow. The FHWA also proposes to add a new OPTION statement that permits the use of several new plaques (R2-5P series) to be mounted with the Speed Limit Sign when a jurisdiction has a policy of installing speed limit signs only on the streets that enter from a jurisdictional boundary or from a higher speed street to indicate that the speed limit is applicable to the entire city, neighborhood, or residential area unless otherwise posted. Simply incredible, these changes regarding statutory limits including the proposed common usage signs as constituted are illegal and unconstitutional. Acts of Congress trump federal agency administrative rules, practices or acts; and the US Supreme Court has found that all acts within an agency’s domain shall be consistent with the intent of Congress and be based in fact (5 U.S.C. § 706). Just because its common practices, does not make it legal either. It’s the FHWA’s job to vet this, not acquiesces to unsafe practices that violate every tenet of Congress’ intent and all but eliminates Constitutional protection for the average citizen. Cites of law in intro and here is another concept of law to ponder. Unconstitutional Acts are not Law. We must distinguish form and substance. Not just anything passed by legislators that have the form of a law, is in fact, a law. To be a law, an enactment must be constitutional, i.e., within the actual de jure authority of the Legislature. This is res judicata. “All laws which are repugnant to the Constitution are null and void.” Marbury v Madison, 5 US (2 Cranch) 137, 174, 176; 2 LE 60 (1803). “Where rights secured by the Constitution are involved, there can be no rule making or legislation which would abrogate them.” Miranda v Arizona, 384 US 436, 491; 86 S Ct 1602; 16 L Ed 2d 694 (1966). “An unconstitutional act is not law; it confers no rights; it imposes no duties; affords no protection; creates no office. It is in legal contemplation, as inoperative as though it had never been passed.” Norton v Shelby County, Tennessee, 118 US 425, 442; 6 S Ct 1121; 30 L Ed 178 (1886). The words “non-statutory” must be removed from 2B.13 as well as “statutory” from the definitions until there is a methodology to factual establish limits for contiguous sections of like roadways etc. Statutory limits are by definition arbitrary and capricious, they’re never uniformly applied nor do they have the expectations in all jurisdictions; the antithesis of the MUTCD’s uniformity charter and due process. Automated Flagger Assistance Devices.'' This new section contains SUPPORT, STANDARD, GUIDANCE, and OPTION statements describing the use of Automated Flagger Assistance Devices (AFADs). AFADs are optional devices that enable a flagger(s) to be positioned out of the lane of traffic and are used to control road users through temporary traffic control zones. The second new section is numbered and titled, ``Section 6E.05 STOP/SLOW Automated Flagger Assistance Devices'' and contains STANDARD, OPTION, and GUIDANCE statements describing the use of a remotely controlled STOP/SLOW sign on either a trailer or a movable cart system and a gate arm. The third new section is numbered and titled, ``Section 6E.06 Red/Yellow Lens Automated Flagger Assistance Devices'' and contains STANDARD, OPTION, and GUIDANCE statements describing the use of remotely controlled red and yellow lenses and a gate arm. The remaining sections in this chapter would be renumbered accordingly. The FHWA proposes to incorporate the AFAD into the MUTCD based on FHWA's revised Interim Approval, dated January 28, 2005.\183\ The FHWA proposes a phase-in compliance period of 5 years for existing Automated Flagger Assistance Devices in good condition to minimize any impact on State or local highway agencies. We have been watching closely the progress of AFAD's, and in particular the ROBOflagger since we saw a presentation to the California's CTCDC committee for approval, following the committee's report on field trials in California to verify its effectiveness. We're non-profit that has reviewed the ROBOflagger users' trials comments and their request for features additions, and as well observed it in use on actual job sites. AFAD's are unique as a traffic control device in that to be effective they must meet every criteria of traffic control device, and do it well. This Manual contains the basic principles that govern the design and use of traffic control devices for all streets and highways open to public travel regardless of type or class or the public agency having jurisdiction. This Manual's text specifies the restriction on the use of a device if it is intended for limited application or for a specific system. It is important that these principles be given primary consideration in the selection and application of each device. E	Give adequate time for proper response. 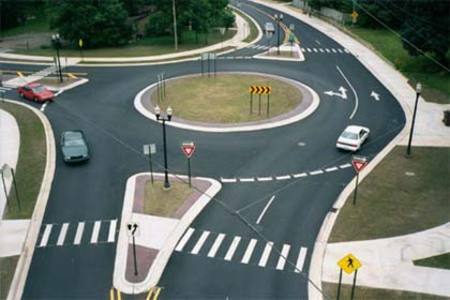 Design, placement, operation, maintenance, and uniformity are aspects that should be carefully considered in order to maximize the ability of a traffic control device to meet the five requirements listed in the previous paragraph. Vehicle speed should be carefully considered as an element that governs the design, operation, placement, and location of various traffic control devices. Most notable of the requirements of a traffic control device was the positive feedback by the users (flaggers) on ease of use and acceptance by the motorists. The need is without question, AFADs make it safer for all and while reducing the cost of TTC, a win win. In addition for background, I personally use to own a specialty-contracting firm that daily deployed multiple crews requiring TTC. Consequently I'm hyper aware of the confusion, visual background noise, divergent conditions, approach speeds and distractions for the approaching motorists. 1) The quality and intensities of the 12 inch led lamps used in the signal head, best commercially available. To assure the attention of approaching motorists at great distances, particularly when the sun angles are problematic; apparent for a mile or more in advance in daylight. Conspicuity concerns, because there are so many distractions, visual background noise etc at a job-site, yellow conspicuity tape was added around the frame of the signal head. The response from motorists showed it worked. 2) Because of the varying approach speeds (city streets versus rural high-speed road paving controls) Operators are trained to assure the change interval meets the need of the approaching traffic. On high speed approaches an adjustable all red phase has been added to assure that traffic has cleared the conflict zone safely before on the onset of the gate arm activation. 3) Gate arm conspicuity. Relying on the standard conspicuity tape alone was inadequate on cloudy days or in situations with a lot of background visual clutter. Steady burning high intensity red LED lamps were added to the end of the arm that activate when the arm begins to deploy. Motorists have trouble judging distance and spatial awareness to a flashing light, therefore the solid red lamp on the end of the arm helps them determine closing speed with a clear demarcation of the control arm. In addition, they added 2 red lamps inboard on the arm flashing in a wig wag pattern to increase awareness of the arm, itself. Visual treatment similar to railroad arm lighting. 4) The remote control was reengineered to safely control a work zone with 2 approaches with one AFAD operator. It’s eloquent and simple to use for both opposing traffic and for hall road applications, too. This solution made it safer for all, workers and the motorists. Now to the NCUTCD meeting: The most developed and field vetted versions of AFADs were eliminated, without foundation, despite the overwhelming success story and improvements that have occurred during the interim approval period. After eliminating the most advanced and evolved devices, the committee adopted a changing paddle AFAD as the sole device, a device whose conspicuity is easily lost in the visual background noise of a work zone, nor can it meet any the needs of traffic of approaching traffic because there is no transition phase between slow and stop, per the concerns we highlighter here in items 1-4: each critical components of an AFAD traffic control device. The law requires performance standards and if a device meets those criteria and has been proven to be best in art, it must be permitted. What the NCUTCD did in this instance was to adopted a device, that upon review, has clear deficiencies that have yet to be addressed, at the expense of a technology that has been vetted and with empirical data showing it is well accepted by all (users and motorists), and meets the safety needs of the public and the state.